Lofoten Islands in the Arctic Circle in northern Norway. 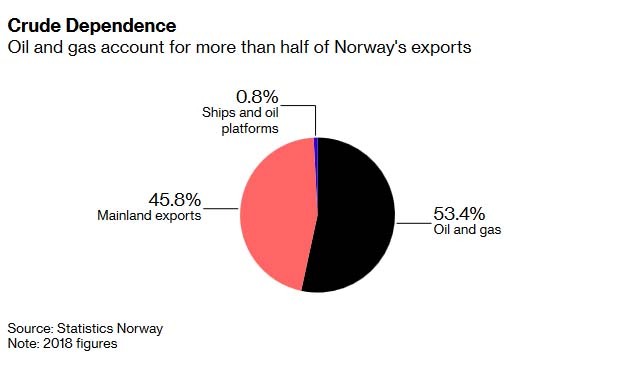 Oil companies led by state-controlled Equinor ASA , the biggest Norwegian producer, have said that gaining access to Lofoten is key if the country wants to maintain production as resources are being depleted. Estimates suggest that 1 billion to 3 billion barrels could be hiding off the archipelago, which is also considered a natural wonder. Industry Energy's Alfheim still expects Labor and other big parties to protect the terms for oil companies, and said tougher requirements for emissions could be a good thing for the industry. But Norwegian authorities need to use both “stick and carrot,” he added.